A shot from 'Transformers 3,' filmed in Chicago during the summer of 2010. Shia LaBeouf and Rosie Huntington-Whiteley on the set of Transformers 3 near Michigan Avenue. 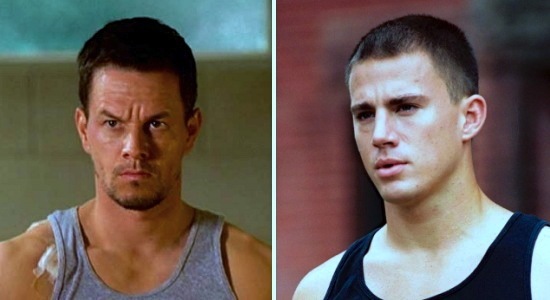 Attention: Mark Wahlberg (Dirk Diggler of Boogie Nights) and Channing Tatum (the titular male stripper of Magic Mike) are coming to Chicago this summer. Wahlberg will be in town for Transformers 4, along with Irish newcomer Jack Reynor and everybody&apos;s favorite love-to-hate director, Michael Bay. After filming many of the outdoor action sequences for Transformers 3 on the Magnificent Mile in 2010, Bay will return to Chicago for his fourth installment. Production crews for Transformers 4 are scheduled to arrive in June for a shoot lasting July-October. Meanwhile, the Wachowskis&apos; Jupiter Ascending will shoot for 4-5 weeks in Chicago, beginning principal photography on June 24. In addition to Tatum, Jupiter Ascending will star Sean Bean (Eddard Stark in Game of Thrones), Eddie Redmayne (the cute ginger in Les Miserables) and Mila Kunis as "a Snow White-esque Ukranian immigrant" who is unaware that her perfect genetic structure "poses a threat to higher evolved beings." So, expect lots of A-list actors to be showing their pretty faces at Paris Club in the next few months. But for now, Chicago cinephiles can ogle at yet another futuristic film shooting on our city streets: the sci-fi thriller Divergent. Based on the novel by Veronica Roth and starring Kate Winslet, Shailene Woodley and Aaron Eckhart, Divergent begins production this week under the working title "Catbird." The Divergent shoot will last 60 days in Chicago, based at Cinespace Studios on the Near West Side. Other possible filming locations include Willis Tower, Millenium Park and the Navy Pier Ferris Wheel. 6. Sixteen Candles (1984) Uncle Buck (1989) and Home Alone (1990): a three-way tie of John Hughes movies filmed in the North suburbs--they still count. Are you excited about the blockbuster films shooting in Chicago this year? Any other time-honored favorites that you&apos;d like to add to my list? Leave a comment below, send me a tweet @leahkpickett or join the conversation on Facebook. Correction: A previous version of this story included a photo from the set of The Dark Knight that was not taken in Chicago.